The Wellington Regional Plastic Surgery unit treats over 100 major head and neck cancers and performs about 50 microvascular free flap reconstructions each year. Craniofacial and skull base tumours are a significant subpopulation of this group and are treated by the Craniofacial Team. Some of the recent skull base surgery types treated at our unit are listed below. Using craniofacial techniques a combined team of a plastic surgeon and neurosurgeon may now safely remove many tumours that were previously considered inoperable such as this tumour of the infratemporal fossa and the ethmoid sinus between the eye sockets. 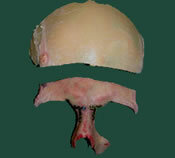 Craniofacial disassembly may be performed by “hidden” incisions inside the mouth and in the scalp. In this case the frontal bone, bone of the brow and nasal skeleton has been removed to allow access to an anterior cranial fossa tumour. Following tumour removal the craniofacial skeleton is reassembled and replaced in its original position. Reconstructive surgery is used to restore the external tissue contours, a seal between the brain and the nose, tear duct drainage and a nasal airway. During a neck dissection, the lymph nodes in the neck are removed because they may be involved with cancer. Other structures may also need to be removed if they are involved with the cancer including a muscle and a nerve that help with neck and shoulder movement. Sometimes a flap of skin and other tissue will be placed by the Plastic Surgeon to cover the critical blood vessels supplying the brain. The parotid is a gland in the cheek that makes saliva. The facial nerve that animates the muscles of the face passes through the middle of this gland. If a tumour involves its outer aspect, then a superficial parotidectomy is performed preserving the facial nerve. A total parotidectomy removes the deep lobe of the gland but preserves the nerve. 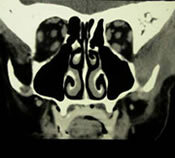 If the tumour invades the facial nerve, a radical parotidectomy is performed. Unlike many Head and Neck units in the world, Plastic Surgeons in our unit will immediately reconstruct the functions of the facial nerve so as to protect the eyeball from exposure, prevent drooling from the mouth and give a more symmetrical smile. Accurate intraoral reconstruction prevents saliva leaking into the neck and tethering of the tongue. The tongue is critical for articulation and swallowing. Microsurgery is often used for tongue reconstruction including reconnecting nerves to give the new tissue some sensation. However it cannot accurately duplicate the specialized tongue functions and so for very large tongue cancers or those near the back of the tongue, a combination of chemotherapy and radiotherapy is preferred to surgery. If certain critical segments of the mandible are removed, the bone defect is immediately reconstructed using a bone free flap from either the hip or the lower leg. This has tremendous advantages over older methods of reconstruction. The blood supply to the hip or fibula bone is reconnected to blood vessels in the neck using microsurgery. In time titanium implants can be placed into the bone to hold dental prostheses. Many units do not reconstruct the maxilla but instead make a prosthesis that “obturates” the resulting cavity much like a bulky denture plate. However there are many drawbacks with this approach including the need to clean the cavity. In appropriate cases we will reconstruct the maxilla using the patients own tissues and microsurgery techniques. In many instances this also enables the placement of implants for dental rehabilitation. 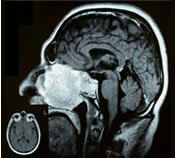 Large tumours inside the eye socket are often best removed using a craniofacial approach. This avoids having scars on the face and the bones around the eye socket may be “disassembled” to allow access to the tumour and then reassembled. The contents of this site is Copyright © 2005-2009, Charles Davis. All Rights Reserved Site by Oryx Technologies.